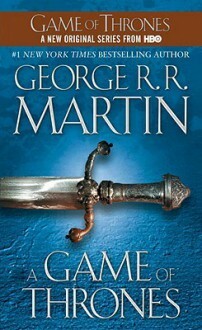 The first volume of A Song of Ice and Fire, the greatest fantasy epic of the modern age. GAME OF THRONES is now a major TV series from HBO, starring Sean Bean.Summers span decades. Winter can last a lifetime. And the struggle for the Iron Throne has begun.As Warden of the north, Lord Eddard Stark counts it a curse when King Robert bestows on him the office of the Hand. His honour weighs him down at court where a true man does what he will, not what he must … and a dead enemy is a thing of beauty.The old gods have no power in the south, Stark’s family is split and there is treachery at court. Worse, the vengeance-mad heir of the deposed Dragon King has grown to maturity in exile in the Free Cities. He claims the Iron Throne.